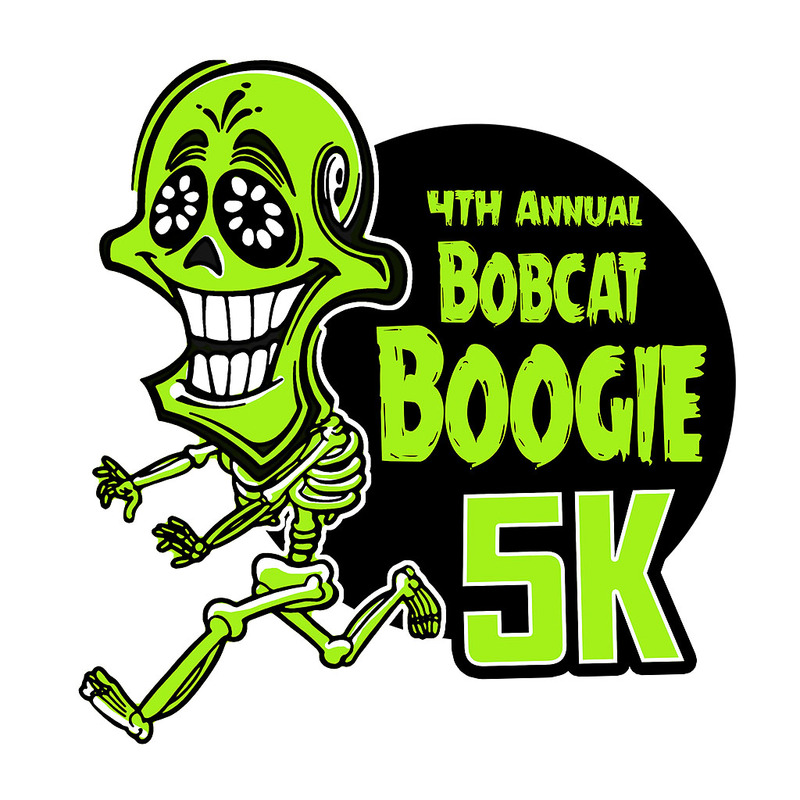 Come out and run the 4th Annual Bobcat BOO-gie 5K and Fun Run at Bascomb Elementary School in Woodstock, GA. It's going to be a scary good time. Prior to 6:15 and after 7:45 the shuttle will pick up and drop off from Hillside to the front doors of the school. Between the hours of 6:15 - 7:45 the shuttle will take longer route to avoid any crossing the running route and to accomodate for one way traffic on Wyngate Pkwy. The roads will be closed from 6:15-7:45 for the safety of our runners along the course. Awards: Overall Male/Female and 3 deep in each age catagory: 5-7, 8-10, 11-13, 14-19, 20-29, 30-39, 40-49, 50-59, 60-69, 70 and up. Timing and Results: Finish line management and results are provided by Classic Race Services with results posted to www.classicraceservices.com, www.active.com, www.coolrunning.com, www.athlinks.com. Shirts and Goodies: Custom Designed shirts will be guaranteed to those who register by 10/5/18. Those who register after that date and on race day are not guaranteed and shirt or size. There will be plenty of refreshments. Costumes: Come dressed in your favorite costume but safety first. Make sure it is safe for you and those around you. Awards will be given to Best Overall Costume, Funniest, Best Family, and Most Creative costume. Course Desciptrion: Start and finish is behind Bascomb Elementary. Starting from the back of the school and running down the main entrance to Wingate Pkwy and take a right. Turn right onto Town Lake. Turn right into first entrance to Hobgood Park and run around parking lot, up the back road and turn around. Head back to Town Lake and turn right. Take right into next Hobgood Park entrance and run to the right and around the ball fields loop. Take a right after the loop and run toward the right and around the north end of the parking lot. Exit out Hobgood Park and take a left on Towne Lake and go straight. Turn left onto Wyngate Pkwy and back up main entrance to the finish line. Runners will be restricted to one lane on Towne Lake Pkwy and Wyngate Pkwy.